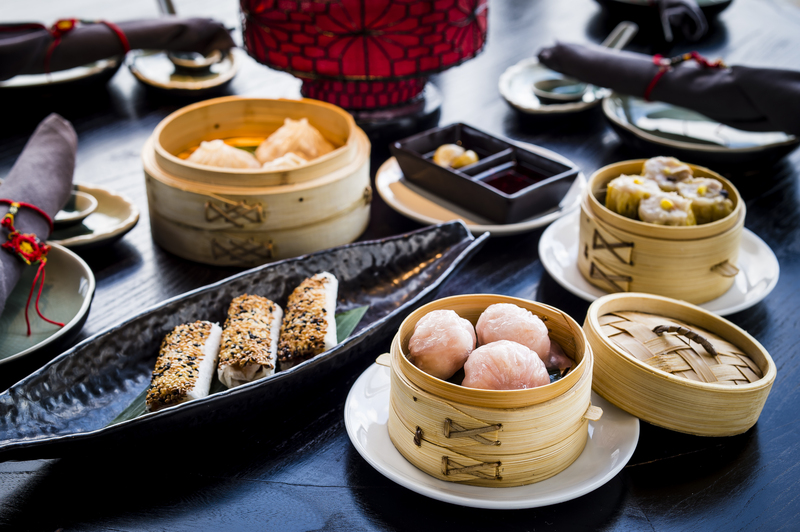 At lunchtime (12noon-2.45pm daily), in addition to the a la carte and Signature menus, guests can order from our delicious dim sum menu – a mouth-watering selection of baked, fried and steamed dumplings, some traditional, some unique to Hutong. Particularly popular are our Shanghai-style xiao long boa or soup dumplings and our baked Wagyu beef puffs. From Monday-Friday a great value set-price lunch is available, offering any five dim sum dishes for £28 per person. This is a wonderful way to discover the breadth of the dim sum menu and it is possible to add dishes from the a la carte menu if appetite allows! Weekend lunchtimes particularly are very popular with larger groups, especially families, who find our private dining rooms seating from 8 to 24 guests to be the perfect place for reunions, birthday and anniversary celebrations and even wedding parties. For groups of 13+ our dedicated private dining team is on hand to assist with planning and menu choices – contact [email protected] for details. Another advantage to joining us for lunch is that the views of London by day are just as magnificent as they are by night, but if anything allow guests to see even more and further. And finally, although demand can still be high, it is usually easier to make a reservation at lunchtime than at dinner – for other tips on finding a table do please read the post we wrote about this recently! Don’t forget that the Shanghai Bar is open continuously from 12 noon until the restaurant closes, meaning that after lunch you can continue your afternoon with one of our exciting new cocktails. With great choice and value across several menus, wonderful views and best availability, lunchtime at Hutong is a fantastic time to visit – we hope that you will join us one day soon! For opening hours, useful visiting information and to book your table for lunch, click here to visit the About Us page.